dancefloors. This year he rocks the crowd of the famous SPLASH Festival, the Battle of the Year Party and Wordsound Tour together with Kouhai (Osaka), Spectre and Sensational. As a part of the Sunsetsoul crew he playes beside Frequento, Splendor and Bond. The soundsystem from Leipzig is specialized in crossing different styles of music – from Downbeat, Funky Breaks, Funk, Soul, Hip Hop to Drum’n’Bass. Da Wiesel is also one of the creators of the Smokin' Beatz Radio Show on Radio BLAU blowing up rare dope beats. 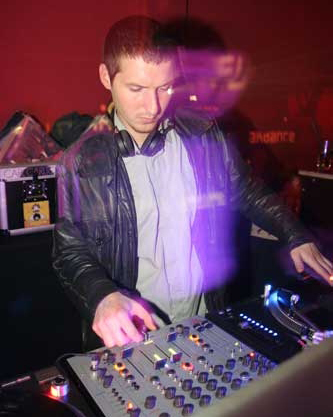 In April 2008 he released his first 12” on the funky breaks label Goodgroove Records which is based in Bath (UK), including big remixes of Smoove and Feature Cast. It was one of the most successful record of the Goodgroove label. After the success of Boogaloo Stomp and Soulfood on Goodgroove Da Wiesel return with another huge floorfiller. On the debut of Frequento’s new label Sunsetsoul Da Wiesel drops out the Shotgun EP wich was topseller of the year 2008 at Juno Records and Fat City Records. In November 08 he also released a dope funk track called Raw Rapture on the Resense label, which was topseller of the year 2008 at Juno Records as well. His tracks are played at the Craig Charles Funk&Soul show on BBC UK, RTE Ireland and Jam FM Germany. At the moment Da Wiesel is working on remixes for Basement Freaks, Valique and for Manmade Records and his first Album which will come in the mid of 2010 on Sunsetsoul Records. At the moment Da Wiesel has residences at Distillery, Polyeser Club, Horns Erben, Moritzbastei, Chocolate and played at Bohannon (Berlin), Sommersalon (Hamburg Kiez), Fusion Festival, Bagdad Cafe (Lodz PL), Kamfora (Breslau PL), Street Level Break Dance Event and at the Games Convention, Europe’s leading computer games event. So watch out and fasten your seat belts!